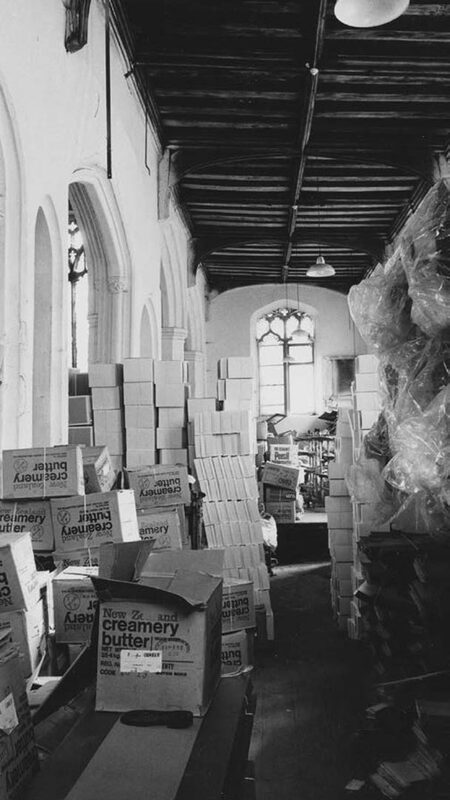 This church had ceased to be used in the 1950s, and became a cardboard box store for the factory across the street, and later a shoe store for another factory. The fabric was in a very poor way – it was described by one critic as a ‘grandiose pigeon-loft’! 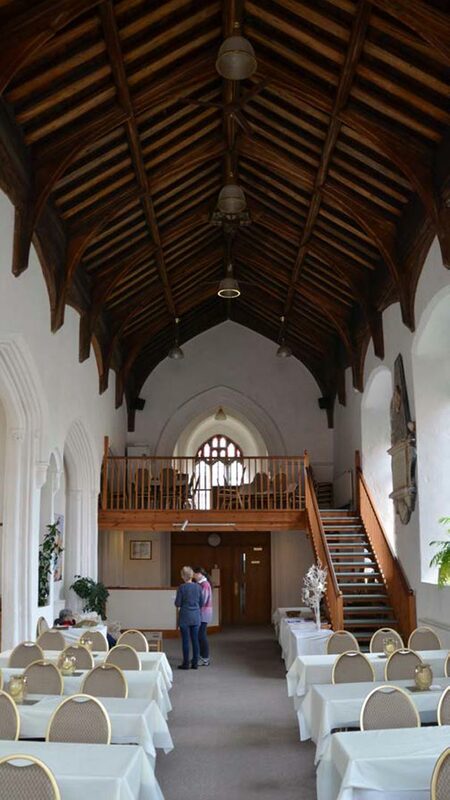 After the Trust took it on, it was thoroughly restored in 1984, and was then used as a scenery store for the Puppet Theatre (at St James Pockthorpe), and then from 1993 until 2010 used by Norwich Community Church. The current tenants are Call to Prayer. Improvements by NHCT include the insertion in 1992 of a western gallery with kitchen in the tower at first-floor-level, two-storey rooms in the west end of the aisle, and WCs on the tower ground floor.